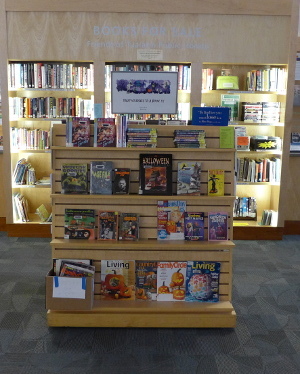 Halloween-themed books, magazines, and videos are currently highlighted at the Friends of Tualatin Library Ongoing Book Sale. You’ll find scary stories, spooky videos, and ghoulish recipes on the freestanding book case just inside the library’s front door; they’re available for purchase whenever the library is open. The Tualatin Library is located at 18878 SW Martinazzi Avenue, Tualatin, Oregon.